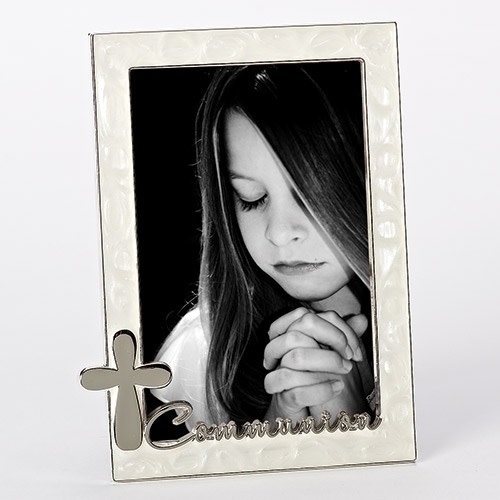 7"H First Holy Communion Frame. Remember the reception of the holy Sacrament. 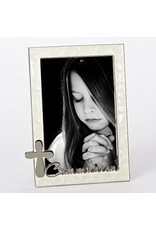 This swirling opal silver frame holds 4x6 photos. It includes a silver cross and the word Communion. Gift item comes boxed. Made of zinc alloy, this item is lead free.